The Hyper Tough 6-Amp Hammer Drill gives you the ability to tackle tough jobs with the power you need. The 1/2-inch keyless chuck makes bit exchange quick and easy, and it supports common bit sizes. 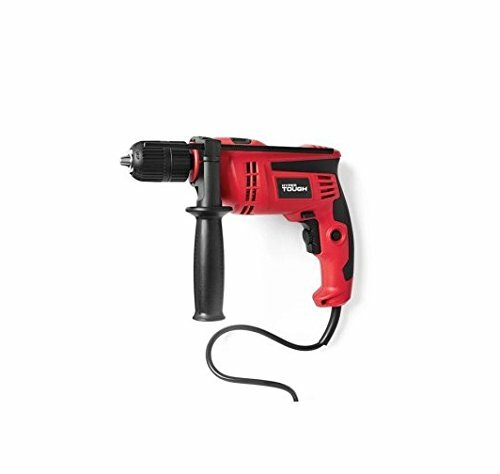 A sliding switch lets you easily move from traditional drill to hammer drill action. The detachable auxiliary handle offers more control and leverage, and the two-finger, variable-speed trigger gives you precision speed control. All this in a slim design that makes it easy to use. The Hyper Tough 6-Amp Hammer Drill is ideal for your drilling needs.